This powerful new feature film is a modern look at the story of St. Ignatius of Loyola, the founder of the Jesuits, often called ‘The Saint of Second Chances.’ As a brash, hot-headed soldier in a time of political upheaval in Spain in the 1500’s, the young Ignatius went from living a life of brutal violence and debauchery, to becoming one of the greatest saints in the history of the Church. 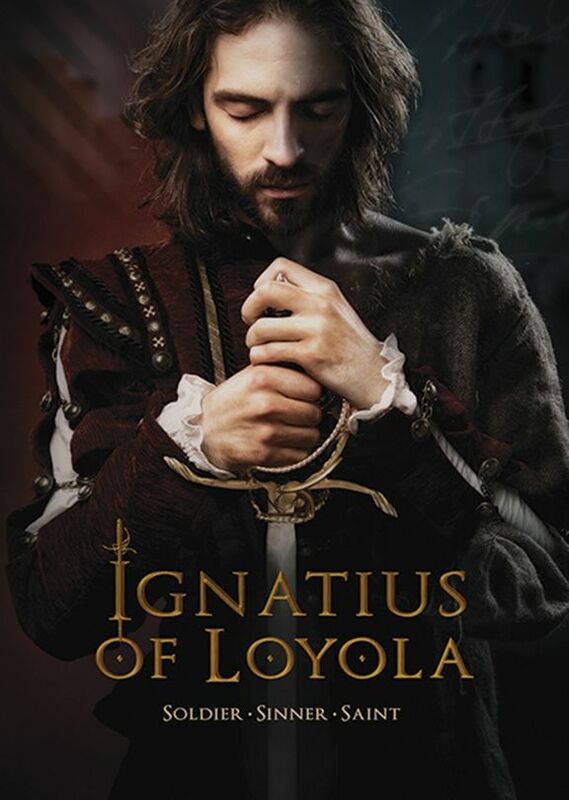 This powerful new feature film is a modern look at the story of St. Ignatius of Loyola, the founder of the Jesuits, often called ‘The Saint of Second Chances.’ As a brash, hot-headed soldier in a time of political upheaval in Spain in the 1500’s, the young Ignatius went from living a life of brutal violence and debauchery, to becoming one of the greatest saints in the history of the Church. This film chronicles his torturous struggle to turn from darkness to light—a struggle that nearly destroyed him, but also gave him the key to a spiritual weapon that continues to save lives to this very day. Produced by Jesuit Communications Philippines (JesCom), this movie was shot on location in Spain. It is an incisive and thrilling look at the life of the real man behind the legend. In his lifelong quest to become the heroic Knight of his fantasies, Ignatius stares death in the face again and again, having his leg shattered by a cannonball in battle; driven to near suicide by his inner demons; finding himself imprisoned, accused of being an illuminati; and finally finding his life in the hands of the Inquisition. Through it all, he would come to see the hand of God working in his life, shaping the self-obsessed sinner into the loyal and passionate soldier-saint. The film also shows how Ignacio wove the trials, errors, and lessons of his eventful life into the fabric of his masterpiece, the “Spiritual Exercises”. Combining clarity of thought with Ignacio’s own love of fantasy and imagination, the Exercises form a rigorous method of making one’s life decisions, and have guided and influenced countless seekers throughout history. DVD includes many special “extras”.